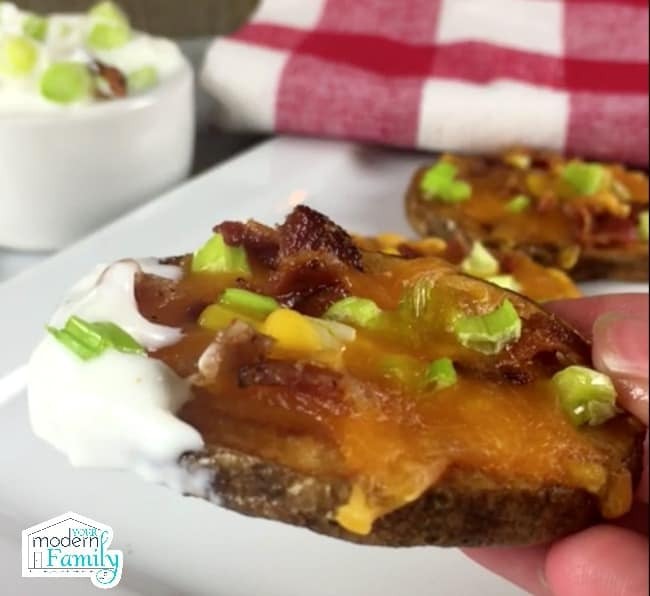 Well… football is here, so I wanted to share this Easy Potato Skin Recipe. 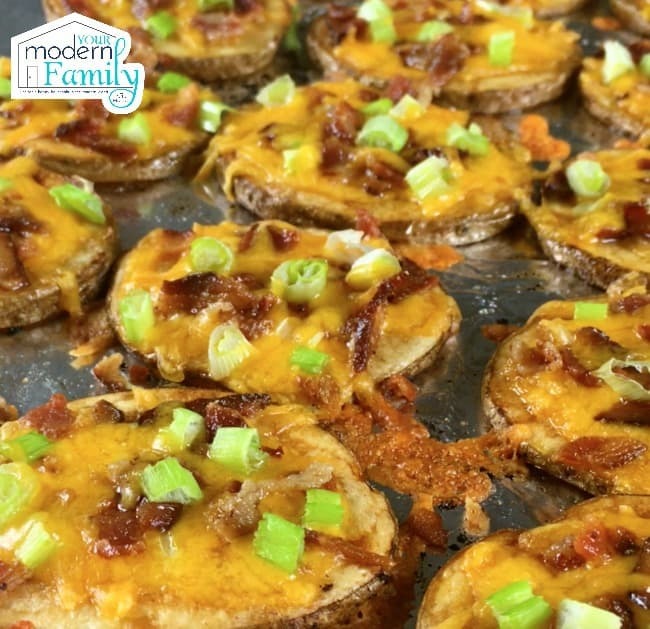 The kids have been busy with football practice every week, which means that we are soon going to be eating football food (fall food) and one of our favorites are potato skins. Now, the kids don’t actually like the SKIN of the potato, so last year, Mickey starting making these instead. 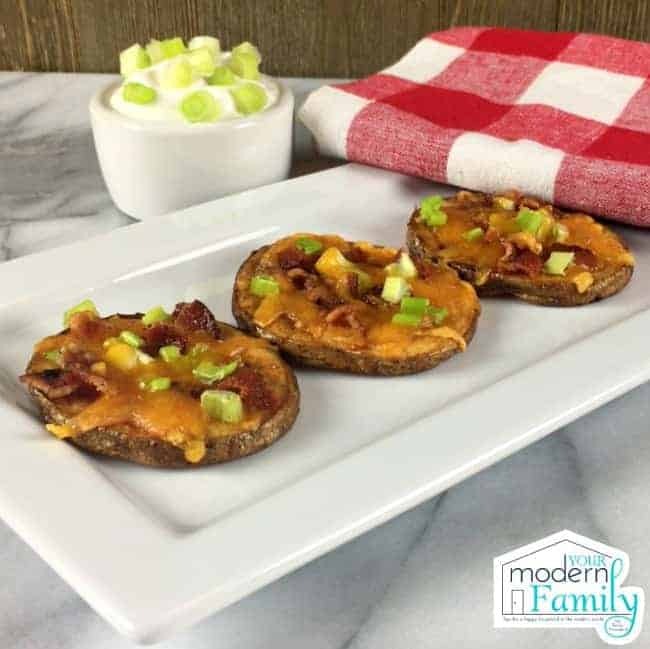 We call them potato rounds, but they are really just an easier potato skin recipe. 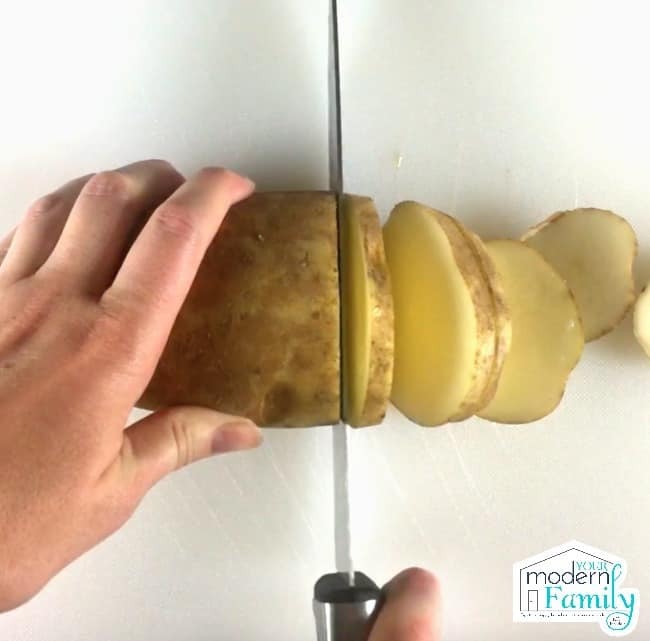 3-4 Potatoes (we wash them first) , sliced. 5 pieces of bacon, crumbled or chopped up into little pieces. 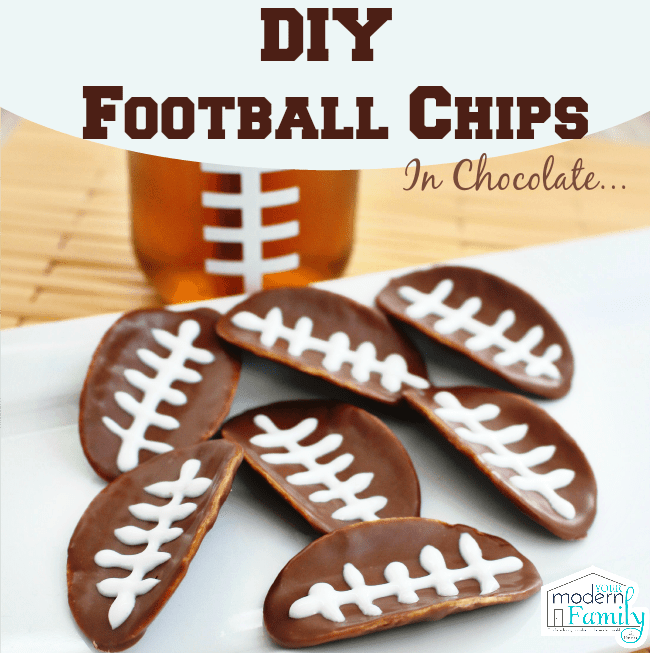 Put foil on a cookie sheet & spray it with non-stick spray. 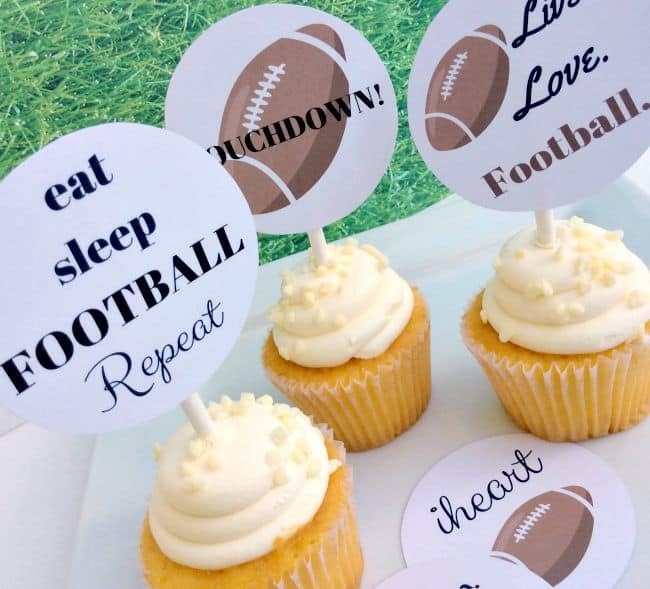 Put butter & salt on both sides. Bake for 45 minutes then turn. 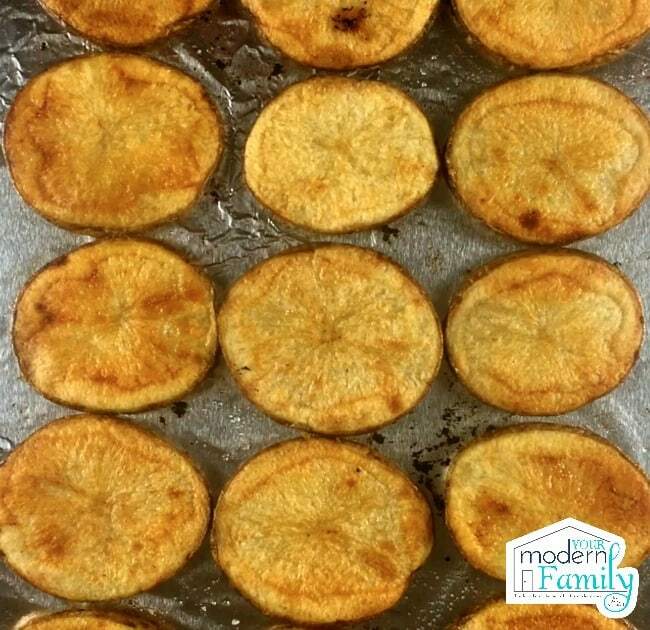 If it looks brown before 45 minutes, flip it sooner. In the meantime, cook & crumble your bacon. Take off & sprinkle with cheese, bacon & green onions. Bake for 6 more minutes, until the cheese has melted. I use a sour cream dipping sauce with a little green onion sprinkled in.